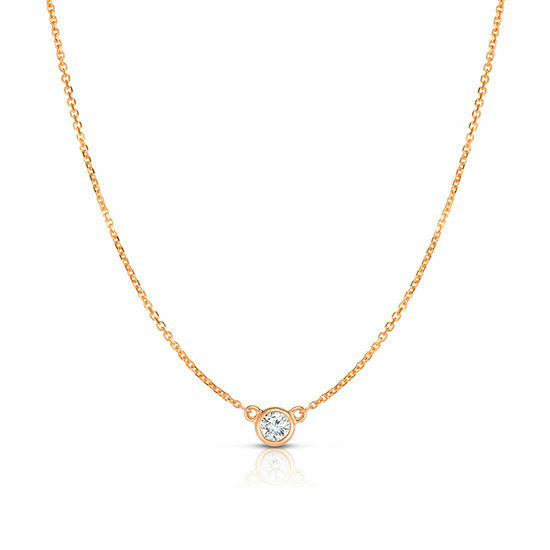 Bezel set white diamond solitaire on 14k rose gold 18 inch cable chain. Available in 0.16 carats, 0.25 carats, and 0.44 carats. Available in additional sizes for custom orders. 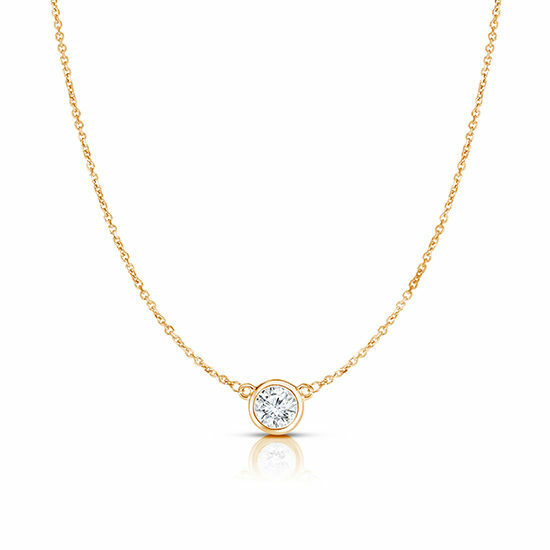 This bezel set diamond solitaire necklace makes the perfect birthday present, anniversary gift or push present especially for April babies as diamond is the April birthstone. 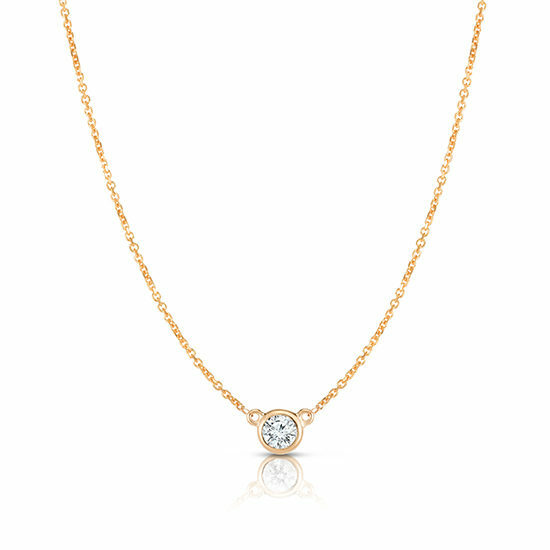 This single diamond necklace can be worn on its own or can be layered with other fashionable necklaces.